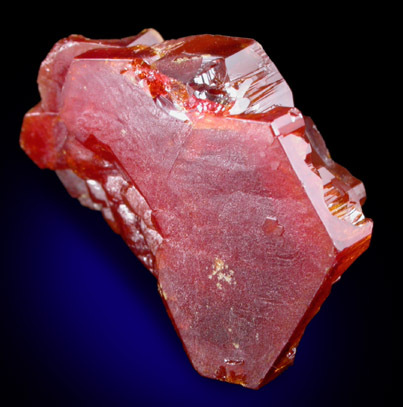 Description: Unusually large crystals of translucent red vanadinite with no matrix attached. 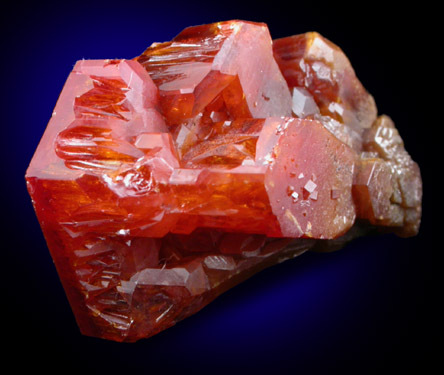 The vanadinite crystal is tabular, hexagonal form with waxy luster on broad faces and lustrous outer edge faces. One top corner has a contact from another vanadinite group.